Get ready for the most ridiculous and entertaining spelling bee yet! 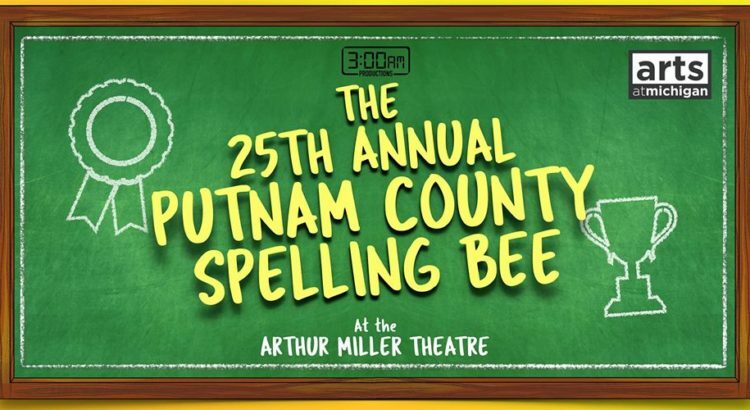 Putnam County has some interesting characters in it, and its 25th annual spelling bee follows the lives of 6 special contestants who, while trying to spell long hard words, struggle with their personal lives in finding love and connections. Watch these quirky kids try to win The Bee, and in life, in this wonderfully hilarious musical at the Arthur Miller Theatre December 7 at 8pm and December 8 at 1pm and 8pm. Tickets are only $3 and are available at the door or online.